The Dualitists recounts the tale of the Bubb family, childless for very long but finally blessed with twins. Two friends lived in the houses surrounding the Bubbs, Harry and Tommy, but they were forbidden to see each other because of the trouble they caused. Harry and Tommy began to secretly meet in the Bubb's garden, bringing with them their knives and items to destroy with the knives. Soon, items are not enough for the boys and they begin dueling, then killing animals. But their thirst could not be quenched. Things eventually take a very dark turn and Harry and Tommy must be stopped. 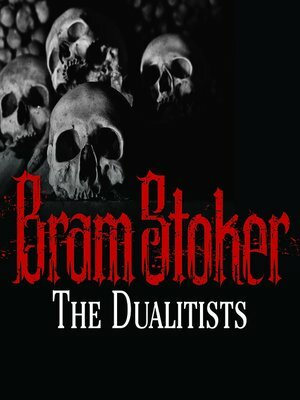 Bram Stoker (1847-1912) was an Irish writer of novels and short stories, most famous for his gothic horror novel Dracula. Although he wrote throughout his life while working as a personal assistant and theatre manager, he did not achieve much literary fame until after his death.